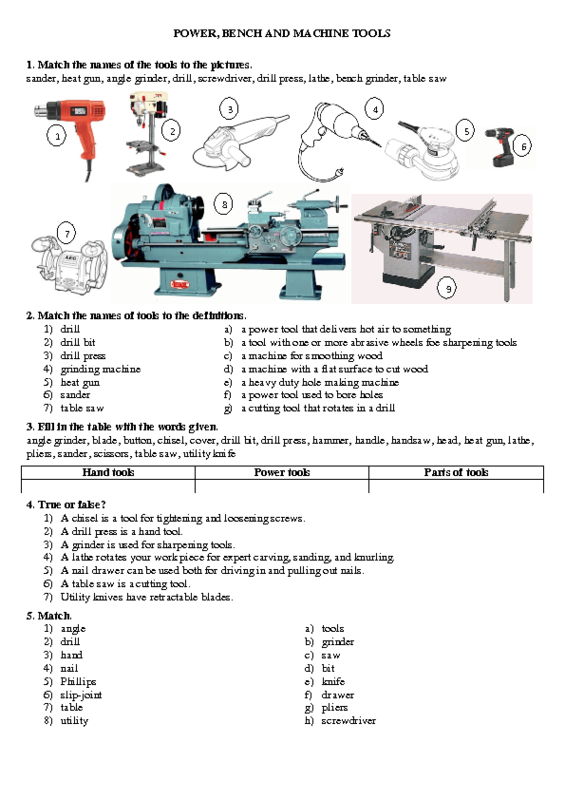 This worksheet was made for college students studying woodworking technology. Later it was successfully used in teaching students of other technical professions. 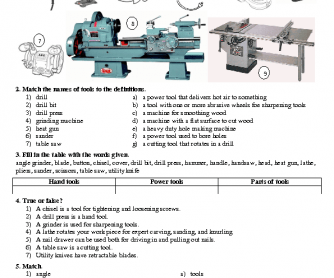 The worksheet consists of some lexical exercises related to common tools which are quite simple, but proved to be useful.